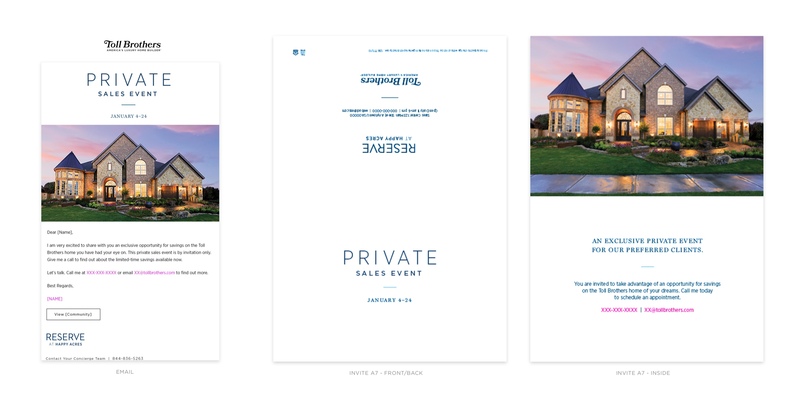 The goal was create cohesive sets of collateral for a group of winter-released campaigns to be used throughout the year starting in December. 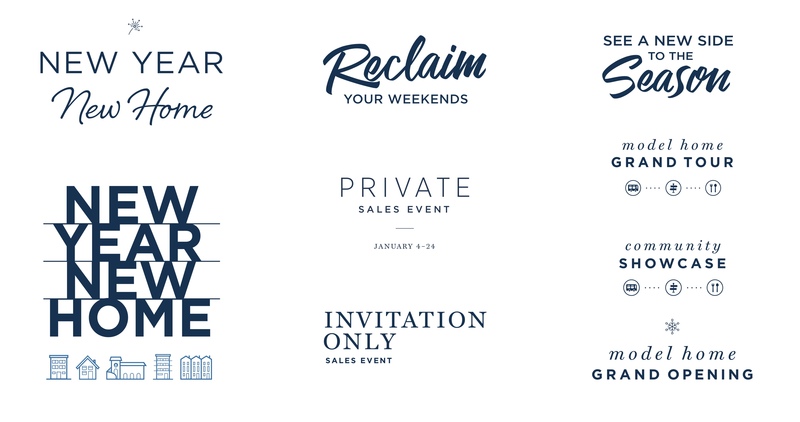 We created the assets and applications of each piece and in each campaign so that any community across the country can pick these up, change dates and logos, and have something to increase leads and traffic. 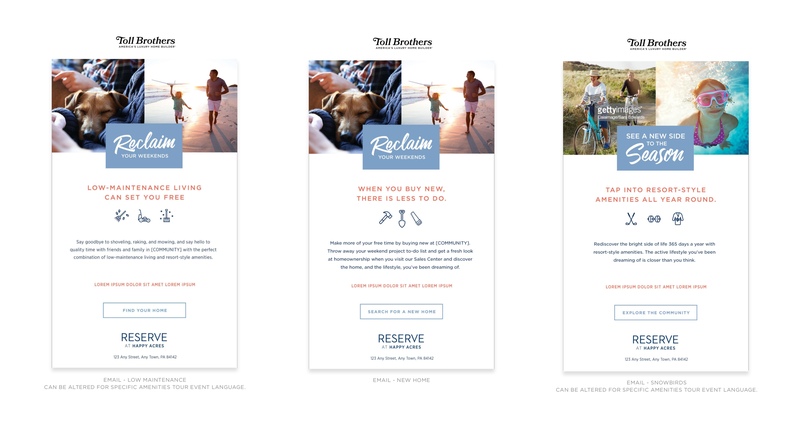 The campaigns that use lifestyle photography also needed to be stylistically treated in a way that these could easily work when one shot was switched out to another that was more relative to that community, demographic, & segmentation.